Leeds manager Simon Grayson was stung by his side's poor performance in their opening 3-1 defeat at Southampton. 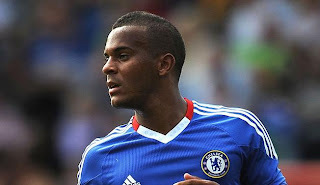 And that has prompted him to look to add some more pace at the back with young Chelsea starlet Ryan Bertrand topping his list of options. The promising left-back is also reportedly a target for QPR. The recently promoted club want to bring the 22-year-old in on a season-long loan in order to cover up a position which is seen to be a weakness for them too. Manager Neil Warnock is said to have a small budget to work with, despite the club being owned by some of the richest men in the world, and is trying to use the loan market to make further signings. The England under-21 international is no stranger to going out on loan. He spent the first half of last year at Nottingham Forest and before that, spells at Norwich and Reading, amongst others.